Over the past 2 decades there have been a number of high profile Google search penalties. These penalties range from innocent mistakes, to blatant disregard for Google’s guidelines. Some of these penalties are algorithmic, some of them were manual. All of them made big news stories both in the SEO community and in normal news media. We don’t make it our business to point out wrongdoings of other sites or “out” them, but we did think our readers would like to see some examples of some of the most famous Google penalties covered by different news outlets throughout the years. These penalties range from 2005 all the way to current day. Forbes, and a bunch of other news sites were punished by Google in 2011 for selling links from their websites. Most of the high profile penalties are due to buying links, this one was due to selling links. Google posted a notice on their webmaster blog reminding webmasters about selling links. The interesting part about these penalties is that many times the higher ups at these companies don’t realize the editor, author, blogger, etc is selling links. Many times these are backroom or 1 to 1 deals made between a company and the writer. Forbes did in fact receive an unnatural link warning prior to this, Matt Cutts of Google chimed in replied to the forum with a slew of advice. To add insult to injury TechCrunch posted an article titled: Forbes Accused of Link Spam, Plays Dumb, But Forgets to Delete all the Links. In short, they did a huge cleanup effort to remove the links they sold, but forgot to take down a bunch of them. Now known as “Genius.” This company had their entire site penalized during the week of X-mas 2013. It as a manual action due to a link scheme they were running in exchange for tweets. Essentially the deal was if you linked to their blog they’d give you a shout out on their Twitter account. While this may seem like crafty marketing, its a violation of Google’s policies. Google was tipped off thanks to a huge thread on Hacker News and they were swiftly penalized. During the 10 days they were penalized, they lost about 700k visitors per day. In this case I’d like to point out that this company made one of the best efforts, both technically and otherwise at recovering from a penalty that I’ve ever seen. They poured a vast amount of resources into the cleanup, and it paid off! Mozilla was penalized in April of 2013 for “UGC spam” or user generated content spam. Essentially what happened here was their blog was set to auto approve comments, which quickly piled up into a huge mess of spam. John Mueller of Google highlighted a particular example of some of the spam on their website. This is a prime example of blog comment spam, a very popular low-quality backlink scheme used by SEO’s everywhere. Matt Cutts chimed in to the discussion with actual examples of the URL’s that contained the spam. Mozilla removed the pages that had the spam, and the penalty was removed. On or around March of 2013, the BBC received an unnatural link notification. The penalty only affected 1 page. A representative of BBC posted on Google help forums in an effort to find some guidance on the matter. John Mueller of Google replied that they found unnatural links to one particular article and the penalty was a “granular action” that didn’t affect the rest of the site. That is, it only impacted one page out of the whole website. We then ask the question, did BBC build unnatural links to this one page, was it negative SEO, or just an accident? On February of 2013 Interflora a high profile flower delivery aggregate was penalized by Google for violation their webmaster guidelines, specifically the backlinks portion of it. This penalty was part of Google’s effort at the time to penalize websites that took advantage of “advertorials ” (paid articles). Interflora ramped up their backlink strategy just before Valentines day, most likely in hopes of receiving a larger portion of the organic search results before the biggest flower holiday of the year. Paid articles or even advertorials in and of themselves aren’t against Google’s guidelines, but having do-follow backlinks within them are a no-no according to Google. If you must link to your own website, you have to use the no-follow tag. Several other high profile websites and newspapers were penalized along with Interflora. During that time, Google issued a statement on their webmaster blog (and a video) talking about advertorials, editorial content and their link polices. The website was penalized for just under 2 weeks. In February of 2011, Overstock.com got hit by Google for offering discounts in exchange for linking to their website. While initially deemed as a clever and successful marketing tactic, Overstock was penalized nonetheless. During that year, they attributed a stock loss from $1.08 billion to $1.05 billion to the Google penalty according to the Salt Lake Tribune. Most of their website was degraded from the rankings, even when searching for their own name. In March of 2014 Google took action against a popular guest blogging network called MyBlogGuest. During the first part of 2014 Google was on a rampage penalizing websites that used blog networks or blog links to rank in Google. They took things a step further to penalize the website that “sold” the guest blog link. According to webmasters throughout the world, Google went on to penalize websites that used the network to rank their own sites. There was a public announcement made on Twitter by Matt Cutts, which in turn caused a huge stir within the SEO community. Ann Smarty, a well respected SEO in the industry snapped back on Twitter denying the allegations, but had little recourse being that these actions tend to be permanent. Matt Cutts made an announcement on his own blog, sharing his thoughts about guest post spam. The BMW Google penalty was part of a larger anti-international-webspam campaign Google was running around 2006. Matt Cutts posted on his blog about international webspam and even made some illustrations using BMW’s international websites as an example. The penalty only lasted about 3 days since they just removed the site from the web. In 2005, one of the first public Google penalties was reported by Danny Sullivan, who at the time ran and wrote for Search Engine Watch. the famous open source web framework “WordPress” was penalized by Google for using a multitude of different tactics outside of Google’s webmaster guidelines. They found tons of 300-800 word articles all with keyword rich anchor text. 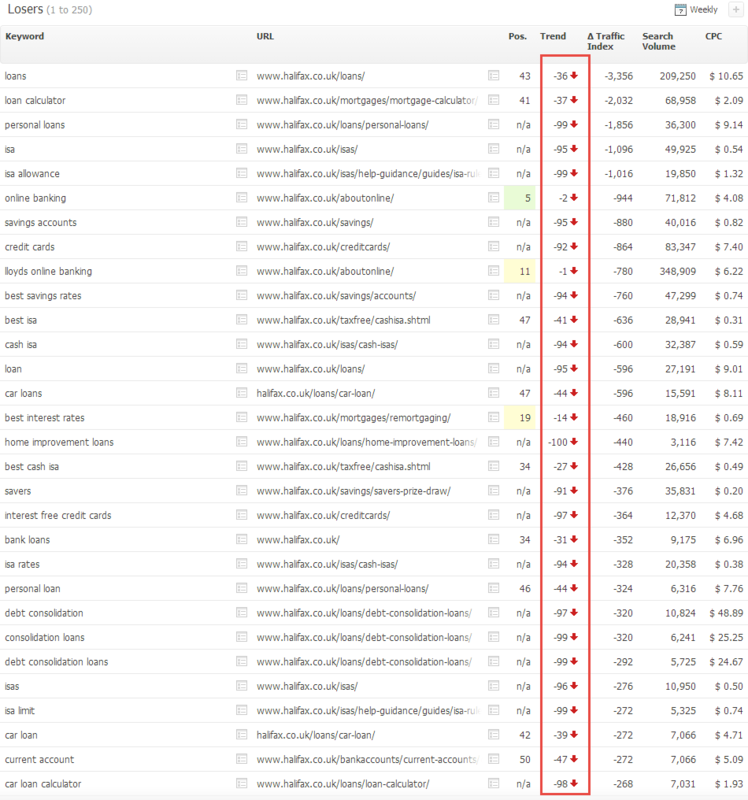 Andy Baio made his own archive / snapshot of Google’s search results which highlighted the SPAM problem they were facing. Matt Mullenweg responded to a topic opened on their website as well. In 2014, it was reported the Expedia was either a victim of negative SEO, or used shady tactics to manipulate the rankings in a Forbes article. It was later revealed that it was not negative SEO but in fact shady practices. The article stated the company lost 4% of their share price and 25% of traffic from Google. An Expedia insider published a subsequent post outing the company for deceptive practices to gain search engine rankings. The drama and back and forth banter continued for weeks, ultimately Expedia did a massive cleanup and had their rankings restored. In March of 2011 a price comparison site was penalized for 2 weeks for shady link practices. They created websites to link and 301 from, they also created doorway pages all of which are against Google’s guidelines. Oddly enough, Google actually bought the company right around the time the penalty was given. Perhaps it didn’t come to the attention of the Google webspam team until they saw it was part of Google’s portfolio. Google has penalized their own products multiple times over the years. One of the most famous times was when they penalized Google Chrome for buying links to improve rankings for the Chrome web browser. During that time Google Chrome didn’t appear in the search engine results for keywords such as “web browser” and “browser.” Google again penalized themselves, this time Google AdWords for violating their own cloaking policy. Over the years Google penalized other products for various violations. In April of 2013 Google penalized Sprint for some spammy blog comments and forum links. Essentially this is a prime example of UGC Spam. Very similar to the Mozilla penalty, this penalty wasn’t technically their fault but they did bear the responsibly for it. After all, webmasters are responsible for the actions that users take on their site. A Sprint representative sought help on the Google product forums, and was given some helpful advice from Matt Cutts himself. This penalty only lasted a few days as the posts were promptly removed by the manager of sprint.com. Google again recommended that these pages be removed, in lieu of Google removing them from the results. If you are interested in a really cool example of a huge UGC comment spam cleanup effort, checkout a case study that we put together in 2016. This famous European Bank was penalized for using shady SEO tactics to boost their site in the search rankings. While many SEO’s thought negative SEO might have been the cause, an army of SEO bloggers quickly identified this as good old fashioned webspam. They lost approximately 20% of their rankings as a result of a slew of different shady link schemes including directories, advertorials, widgets, link networks, infographic spam and just about any other link tactic you can think of. Cognitive SEO did a great write-up on the whole ordeal. Link Research Tools did a great job of recording the drop in keyword rankings during this debacle. Ebay.com was penalized by Google in May of 2013 for a plethora of doorway pages used to drive traffic to their site. In one of the first times an actual monetary figure was attached to a Google penalty, the CEO of eBay alluded to the fact that this penalty could have a $200 million dollar impact on sales due to a decline in new business. If you are interested, Wordstream wrote up a great post on the technical aspects of this Google penalty. If you are into SEO history, checkout our illustrated history of blackhat SEO. Thank you for the information about Google Penalties.I had gone through it thoroughly its really worth to spend time on it and I really got to know a lot more from it.I had no idea this kind of help would be available. Thanks! Awesome post about google penalties.Well done!Thanks for en-lighting us with your knowledge, it is helpful for many of us. thanks John – one of our favorites as well!